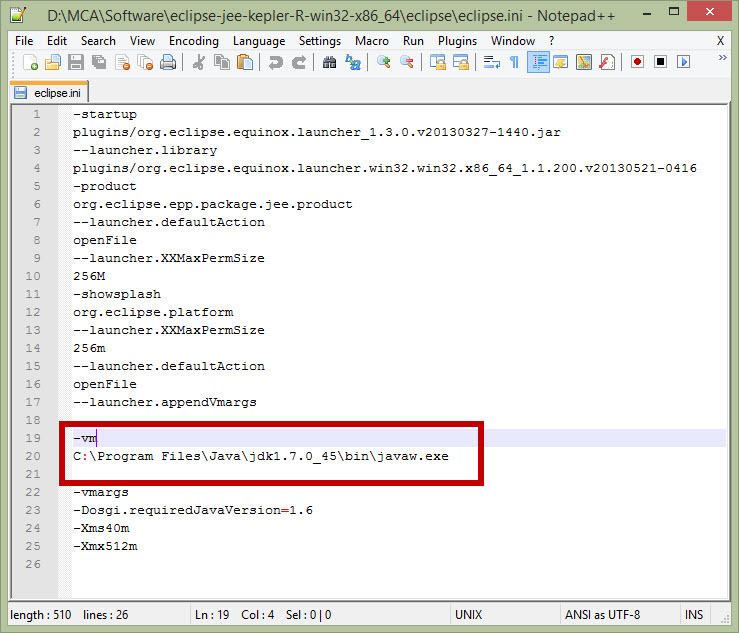 Want to install Eclipse to practice Java programs? I think you might have already tried installing eclipse software on your computer, but after installing eclipse you may noticed that it is not working for you. Actually what happens is, most of the new users who tries to install Eclipse don’t know the proper method to install it. 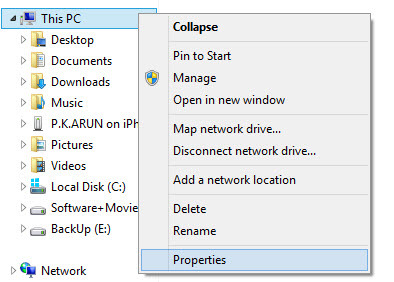 So today I’m going to show you step by step tutorial on How to install Eclipse software on your Windows computer. Eclipse is an Integrated development environment (IDE) software. Most of the Java professionals use this software to build java applications. Almost every company use this IDE to build Java programs. It’s because, it has a lot of useful features which is available in it to make developers to code easily. Even though it is one of the most popular software to develop java application, many schools and college don’t use this software or any IDE to practice programming. So most of the student were not aware of this software much. For that, I’m going to show you what software we need to download, where to download those software, how to install those software and how to configure to run java programs in eclipse. In this tutorial we are going to install Eclipse software on windows operating system and configure it to run Java programs. This tutorial works fine for all version of windows operating system (OS) like Windows 8, Windows 7, Vista and Windows XP for both 32-bit and 64-bit versions. For the first step, know which version of operating system your computer is running. That is, 64-bit version or 32-bit version. To make eclipse to run java programs we need to download 2 software, one is Java and other one is Eclipse. 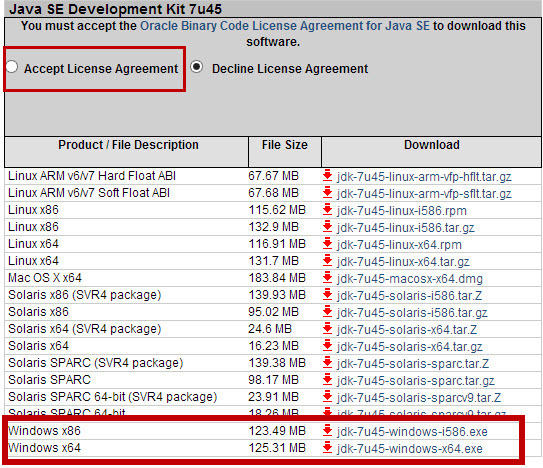 In java, we are going to download Java Development Kit (JDK). 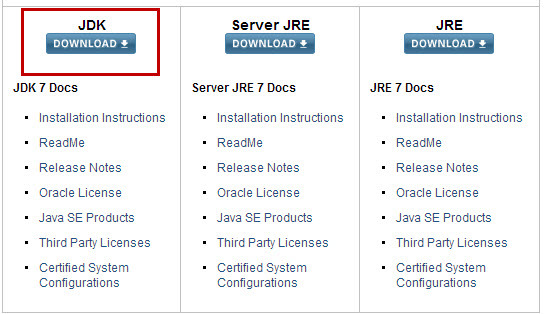 To download jdk visit this page and scroll down little you will see 3 options like JDK Download, Server JRE Download and JRE Download. All we need to do is, select first one. That is, JDK Download and click on Download button. Now you will be taken to other page. In that page choose “Accept License Agreement” option and then look for Windows x86 and Windows x64 and click download button according to your OS version. For me, I’m having 64-bit OS version so I downloaded windows x64 setup file. Now we have downloaded java software (JDK) to our system. Next we have to download Eclipse software. Now we need to download Eclipse software. You can download eclipse software by visiting this page. You will see two versions of eclipse. That is, Eclipse Standard and Eclipse IDE for Java EE Developers. I recommend you to download Eclipse IDE for Java EE Developers version. To download that, just choose 32-bit or 64-bit setup according to you computer version. Once you click on any setup link, it will take you to the next page where it contains download link. In this page look at right side of that page, you will see Other options for this file column. In that, choose Direct link to file to begin download of eclipse software. Now we have downloaded Java JDK software and Eclipse IDE for Java EE Developers software on our PC. It’s time for installation now. Now we installed Java software. Our next step is to set PATH and CLASSPATH for it. We have to set Path and ClassPath for Java to work. Follow the below steps to do so. after filling press ok button. Tip: Now use the copied path during installation here. Make sure you are pasting bin directory path, not the copied path. 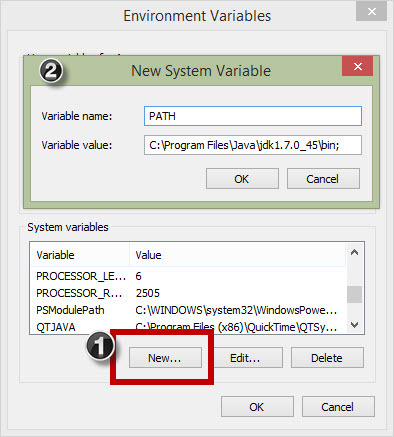 Note: In System variable look for Path variable. 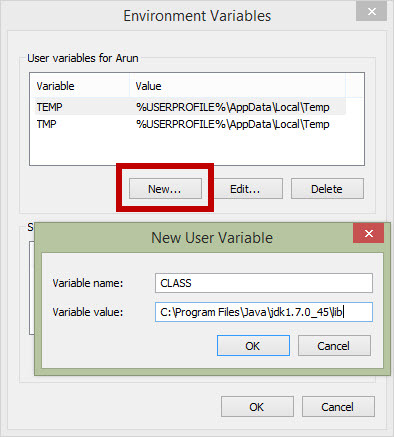 If you found PATH variable, select it and click edit button and fill the above data. In variable value just add ; before adding new path. If you don’t find Path variable then you create new one. Tip: Now use the copied path during installation here. Make sure you are pasting lib directory path, not the copied path. 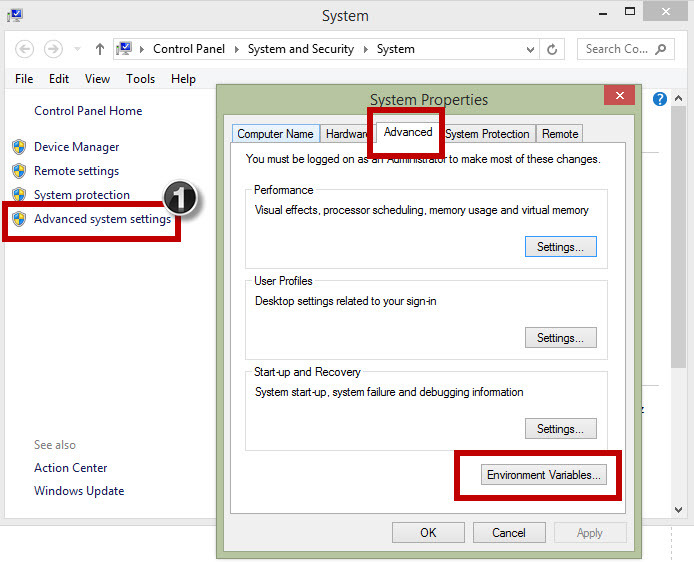 and click OK and again click OK to close Environment Variable window. Now we set path and class path for java in windows. It’s time for us to install Eclipse. Extract the downloaded Eclipse Zip folder to install eclipse. Here we don’t get any setup file to install. All we have to do is just extract the zip folder and configure eclipse.ini file to start using it. 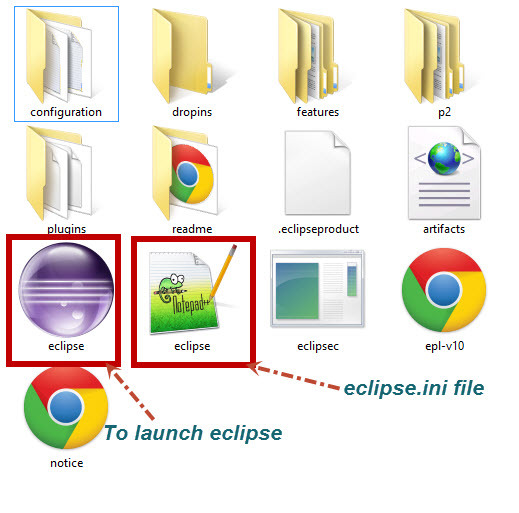 You can extract this eclipse folder on any location you want. Once you extract that folder, open eclipse folder. In that, you will see eclipse.ini file. Open that file. After adding that argument, save and close that file. Tip: Now use the copied path during installation here. Make sure you are pasting javaw.exe file location address which is located in bin directory, not the copied path. Check my eclipse.ini screenshot below after adding -vm argument. Now open you eclipse software to run java programs. It’s time for you to start coding. 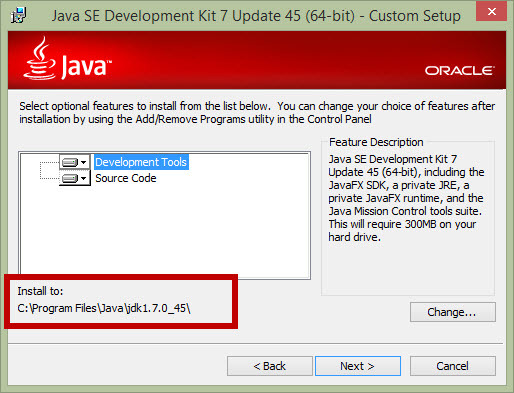 Hope, this tutorial helps you to install Eclipse IDE for Java EE Developers software on you PC. If you find any difficulty in installing Eclipse please post in comment I will try to help. I have followed all the steps and installed the eclipse…but the application was not starting…. I want to learn C,using Eclipse Kepler. I have windows xp sp3 ,on my computer. Tell me how to install.